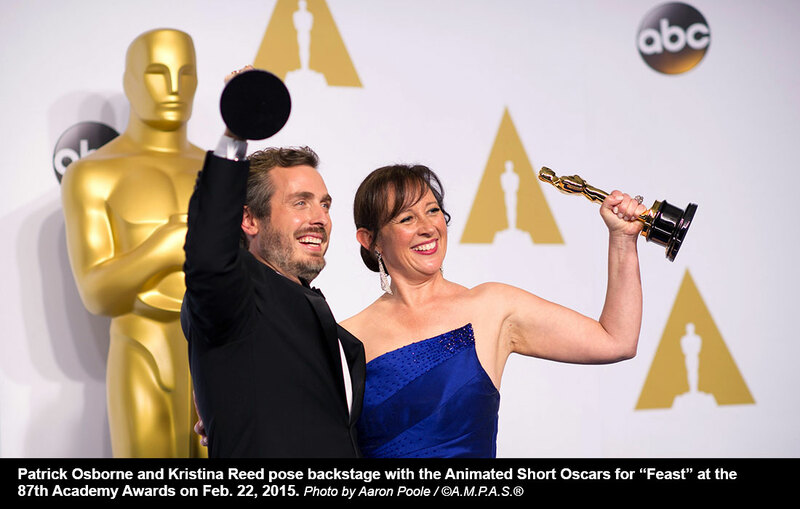 The field of 60 Animated Short contenders has been whittled down to 10 films, the Academy announced Thursday. The shortlists for 88th Academy Awards consideration continue! The field of 60 Animated Short contenders (up slightly from last year's 58 and 56 the year before) has been whittled down to 10 films, the Academy announced Thursday. Members of the Short Films and Feature Animation Branch viewed the eligible entries and created the shortlist. Members will select five nominees from among the 10 titles on the shortlist. Branch screenings will be held in Los Angeles, London, New York and San Francisco in December, according the Academy. The deadline to submit entries for Animated Short was Oct. 1. With new rules for the Animated Short and Live Action Short categories approved in June, the number of nominees is now set at five (formerly three to five). Also, members now vote for nominations from the shortlist in the order of their preference for no more than five shorts in each category. "The five pictures receiving the highest number of votes in each category shall become the nominations for final voting for the Short Film awards," according to the revised Academy rule. Gone is previous references to the "10-to-6 point system" and "films receiving an average score of 7.5 or more shall be eligible for nomination." However, that system is still in place to determine the shortlist.